We have a plan. A crazy plan. A hare-brained, adventurous, madcap, wild plan. We want to live in our tiny cabin for at least one calendar year. This is not such a big deal in our beautiful Canadian summers. 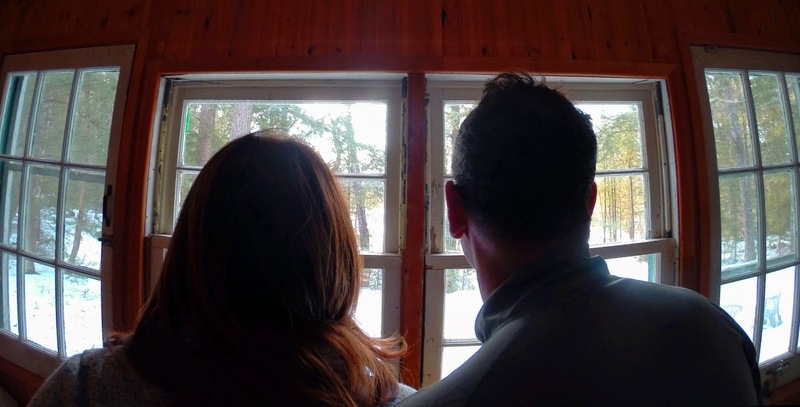 But we want to see if we can survive this tiny cabin on a three-season access road through the raging winds and arctic temperatures of a typical Canadian winter. With no heat except that from a wood-burning cook stove. With no running water. With no indoor plumbing. At this point, this plan would fall clearly and decisively in the foolhardy and reckless category. There is no insulation, the roof still leaks, the cook stove doesn’t have an adequate hearth or even a heat shield. We have only one small solar panel that provides us with light but nothing else. We have a lot of work to do before our tiny little paradise in the woods is realistically habitable year-round. We are giving ourselves an approximate timeline of five years for upgrades and renos. Then, the real adventure begins. To show our gratitude for your contribution we would be happy to link your guest post to your site or blog, so our readers may enjoy other content written by you. Please attach your site url to your email if you would like for us to do this. You can currently see a sample post on our website but our full site will make its debut on the 21st of March, 2016.